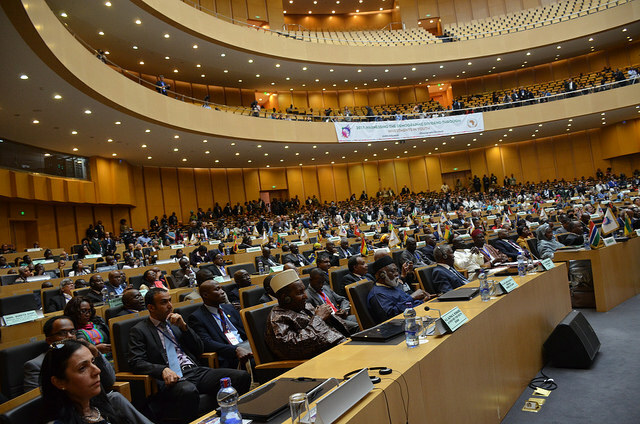 One of the biggest criticisms of the African Union has been that its funding is coming from outside of the continent. And because of that – the would be ‘Africa oriented’ programming is unable to be realized because when donors give money, they do have other agendas to fulfill. Typical of anyone that is giving you money. However, some developments have been made. Last year, at the 27th AU summit in Kigali, Rwanda, a decision was made by all heads of state directing that a 0.2% levy be charged on all eligible imports and remitted to the AU so as to finance its programs budget and a Peace Fund. The Peace fund is for the Peace and Security department. Currently the African Union’s operational budget is being financed by the member states, however the programs budget is still falling behind. The decision made in Kigali, will allow member states to finance the programs budget up to 75% for the African Union and 25 % for the Department Of Peace and Security. The reason as to why the Peace Fund is only for 25% is because most of Africa’s military interventions are in unison with the United Nations. This is also something that was reiterated by the UN Secretary General Antonio Guterres in his remarks at the opening of the 28th African Union Summit yesterday. He mentioned that Africa contributes majorly to the World’s peace keeping missions. Speaking to the Director Programming, Budgeting Finance and Accounting at the African Union, one can feel the aura of optimism, that Africa is going to flourish with this. According to Mrs Assietpu Sylla Diouf – there are countries that are already complying with the directive. Kenya by 15 September 2016 had started implementation. But the African Union is yet to finalize with the member states on a few things. For examples, they need to sign a MoU with the Central Banks of the member states. And they are still trying to figure out what would be better – write one MoU and have all parties sign onto it or come up with 54 different MoUs – either way, these are just ‘technicality issues’. They are not reason to halt the decision. Only one country had reservations about the Finance Scheme which is something that has been tried and tested in ECOWAS and ECCAS. The continued and successful implementation of the Union’s programmes require adequate and predictable, sustainable funding. However under existing arrangements, the Union’s budget continues to be underfunded by both the Member States and Development Partners. The Operational Budget is mainly to Finance the cost of running the Union, its organs Specialized Technical Agencies, its representational offices and agencies across the world including NEPAD and APRM. Expenditures cover administrative, utility costs, service delivery costs, investment and maintenance costs and statutory payments for all AU organs. Operational Costs amounts to around 110 million USD on average annually for the last five years and is financed exclusively by member states. Maintaining continental response readiness for emergencies either political (for instance the Mali, Burundi and CAR situation), or social aspects such as the outbreak of Ebola and other unforeseen emergencies. Coordinating common positions on the international arena on matters sensitive to the development and social stability of the continent, such as Climate change, migration and intercontinental partnerships.